Just when I’d thought all the little bike riders had flown north for the winter, I came across this rather handsome orange Apollo ridden by a very friendly woman who kindly obliged me by stopping for a photo. Despite the gears not being fully functional, and (as with all steel wheelers) the brakes being a bit dodgy in the wet, she rides her little bike everywhere (unlike yours truly, who is a fair-weather, local only little-biker). As a mark of my respect for her commitment to two small wheels I have inducted her into the Little Bike Blog Intrepid Thighs Hall of Fame, along with the riders of with Penny the Peugeot and the Stowaway featured in the original intrepid thighs post and Mr Cinzia and Ms Gitane, whose bikes featured in your turn, (both of whom posted a comment, which always makes me happy). Congratulations to you all. Feel free to put it on your CV, I am sure it will open doors. After riding Penny The Peugeot a friend commented that the brakes were “decorative” – and that was in the dry! You are still entitled to the Intrepid Thighs Hall of Fame induction because you take ride Penny on rides longer than 5 kms. Also you did the MS ride which is mega impressive. Is that an larger than normal Apollo, or is the woman (pictured) indeed small? 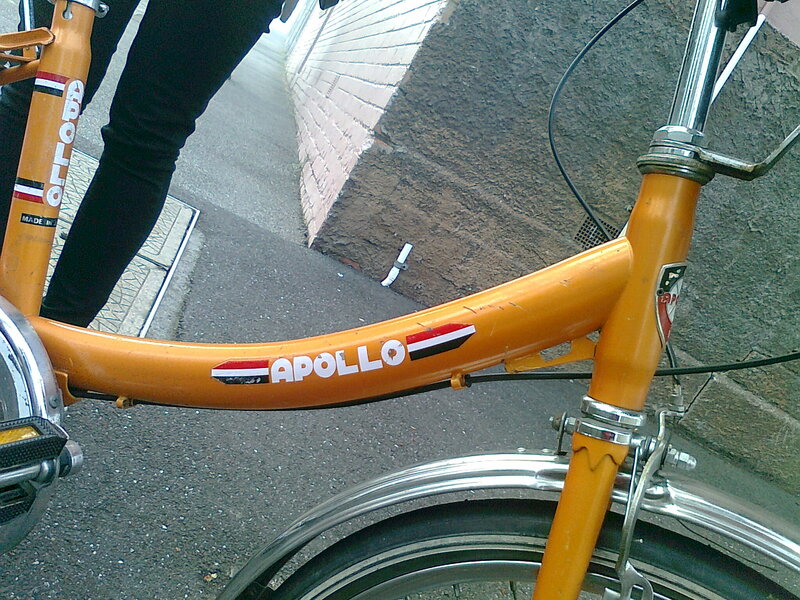 I didn’t know a extra large Apollo model existed… exciting. BC I am excited that you are excited! Sounds like you know your stuff. I think I may have to burst this particular bubble though, because I am pretty sure it was a regular 22 or 20 inch wheeled bike, ridden by a petite woman ( she was about my hight: all of 5 foot nothing). Oh Hi, that was me on the Apollo. I just rode home tonight in the pouring rain and can attest to scary! I love your bike Jess. Do you (or anyone else) know what model this is?? I used to have one, I loved it and rode it EVERYWHERE. But it was stolen and I’ve not been able to find one since. Oh damn and blast those bike thieves. Can’t help you with the model or where to find, little bikes pop up here and there, but I’ve never come across someone in Melbourne who deals with them specifically. Great gap in the market in my humble opinion. 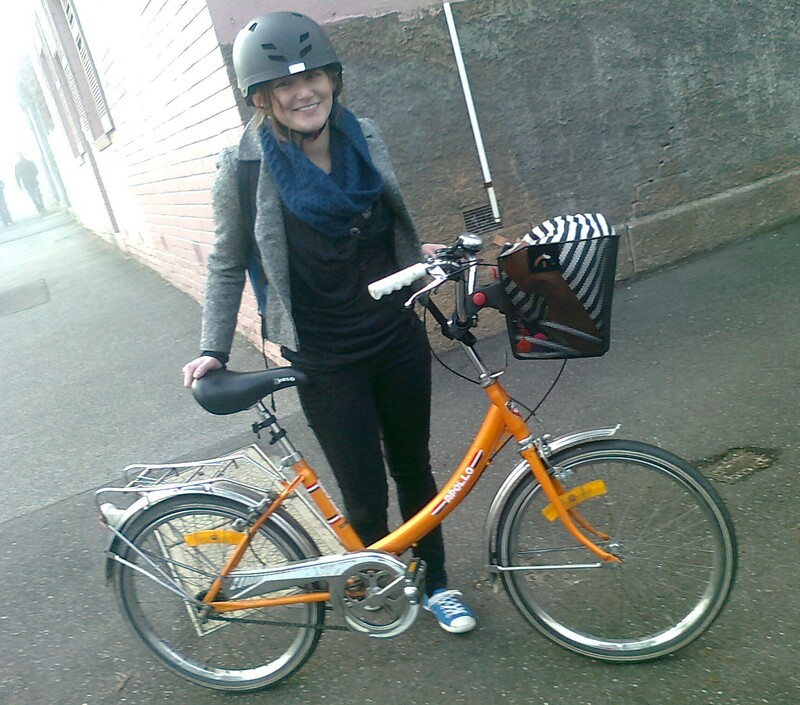 I hope another little bike comes your way Alicia, and thanks for visiting Little Bike Blog.